I love old family photographs, they are one of my most cherished items! 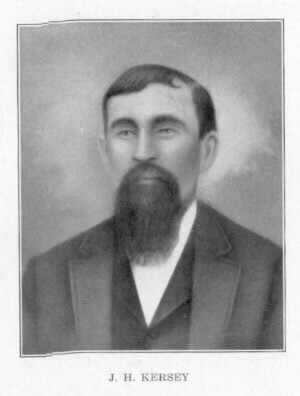 Having the ability of being able to connect a face to our written genealogy brings real life to the pages. 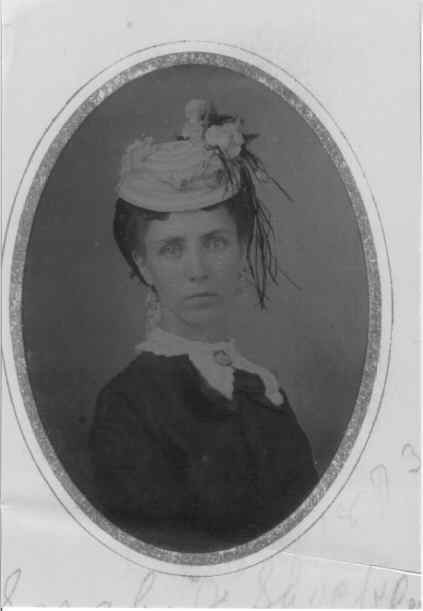 I hope you will discover a photograph of your ancestor in this gallery, and I also hope you will share your old family photographs with us. Use the Submit Data link on the top of the page to send copies of your photos. 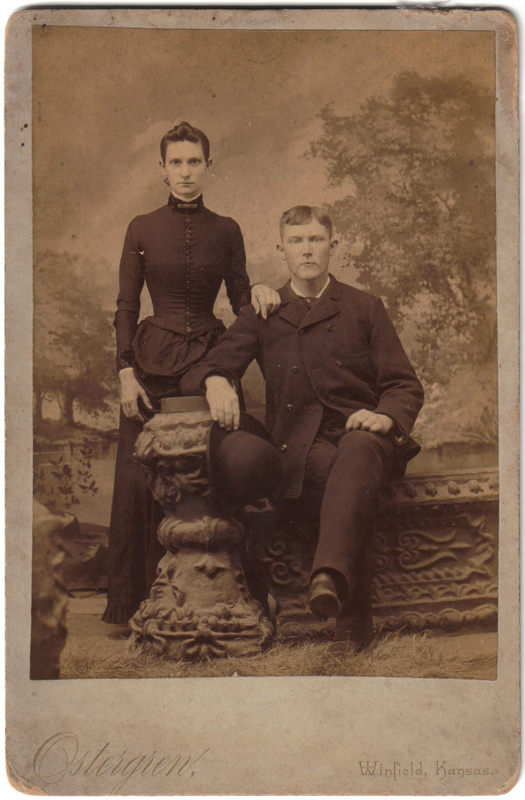 Any old photographs with a Boone County connection are welcome ... individuals, buildings, houses, geographical locations, cemeteries, gravestones, etc. 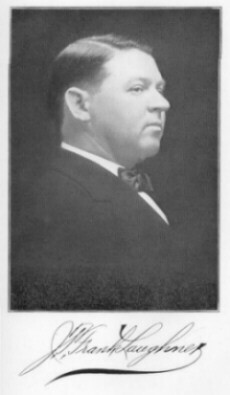 The only requirement is that we do not post photographs of living individuals without their consent, and usually only photographs of individuals taken more than fifty years ago, and thus of more genealogical interest. Do you recognize someone in the Photo Gallery? Can you add more information? Send me your comments and I'll add them here and on the photograph entry. 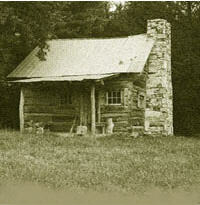 NOTE: All photographs, compilations, derivative and/or original creative works published on Boone County Genealogy, INGenWeb remain under copyright or license of the owner/creator and by the owner's submission, permission has been granted for these images and works to be displayed on Boone County Genealogy, INGenWeb and copied by others for personal family genealogical use only. These images and works may not be redistributed or published in any other work, by any method, either commercially or non-commercially, without explicit written consent from the owner of the photograph or creative work, unless identified otherwise. 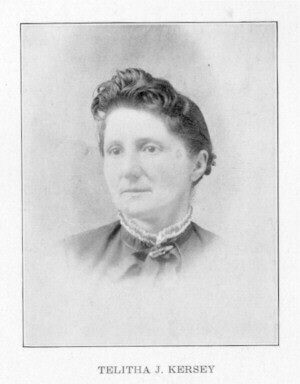 From Sarah Jane (Shockley) Isley's photograph album. See more in the unidentified photo section. 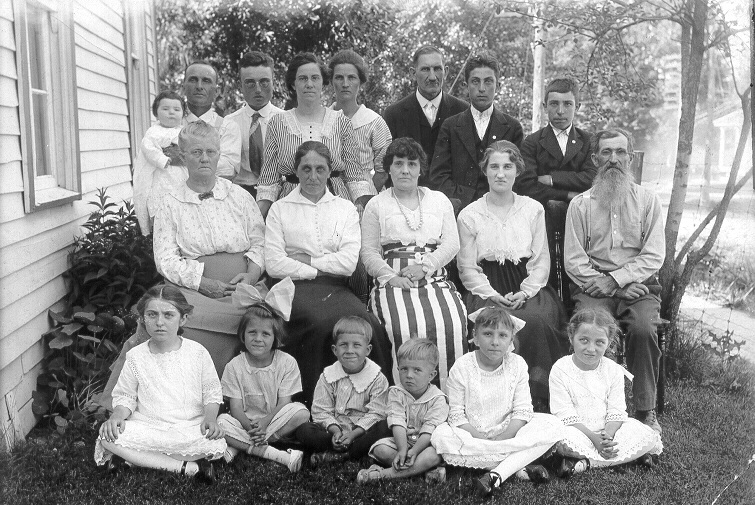 (Back row L to R): Carl & Ella Meyer, Lela Von Isley, Lottie Meyer, Milford & Hattie Hedge, Tom & Eva Lawler. (Seated L to R): Zella Seratt, Sarah Jane SHOCKLEY Isley, Margaret ISLEY Heady "May", George K. Isley, ___? Meyer, Grandma Groves, Jane & George Washington Groves. 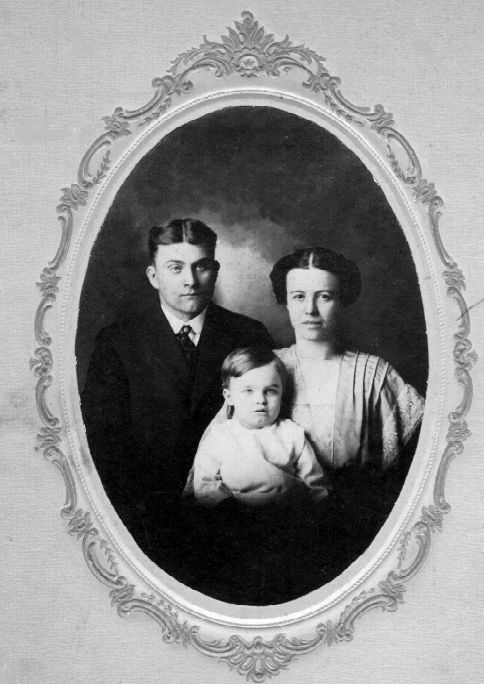 (Children L to R): Wilma Isley (On her father, George's lap, Wilma was born 11 July 1893 and died of diphtheria 25 October 1899), Silvia Meyer, Zella Seratts's Daughter, ___? 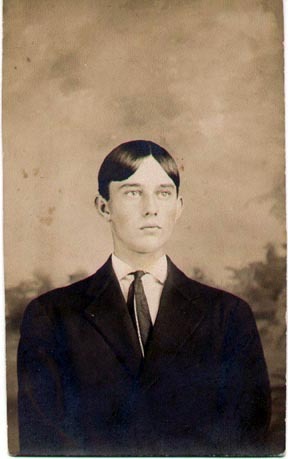 Hedge, Loren Talmadge ISLEY (George & Sarah Isley's son) ___? on rocking horse. 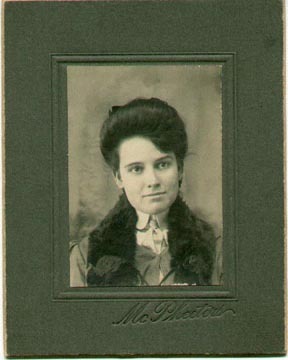 The back of this photo says "Emsley-Mary Jackson, Stella Evans mother and father" The photo was taken between 1875-1895. 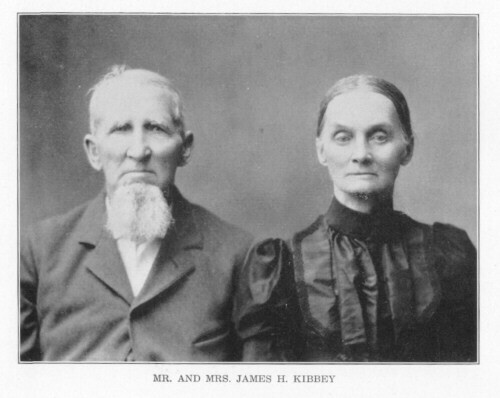 They married in 1875 and he died in 1895. 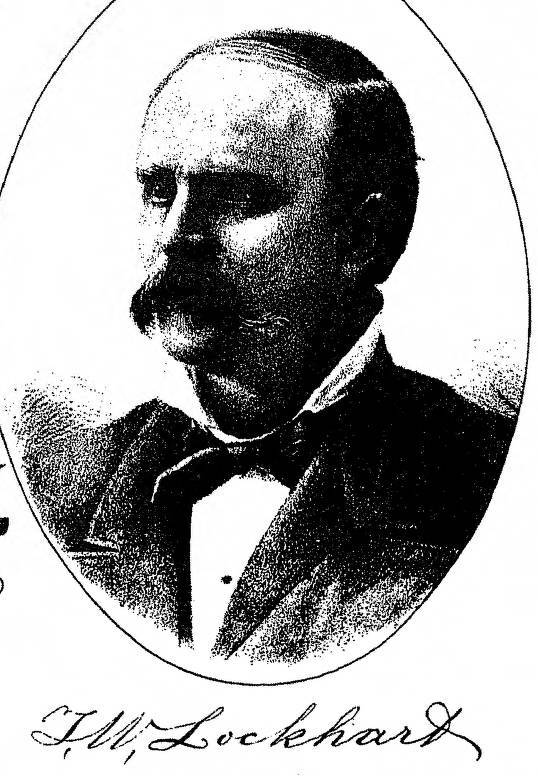 He was the son of Joseph and Martha Heady Jackson and she was the daughter of Meredith and Sarah Siddens Owens. Source: "Combination Atlas Map of Boone County Indiana: Compiled, Drawn and Published from Personal Examinations and Surveys By Kingman Brothers." 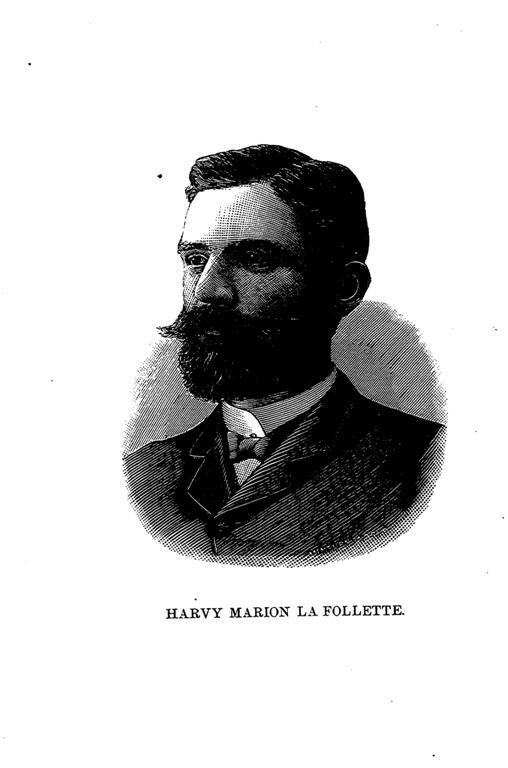 Published 1878. 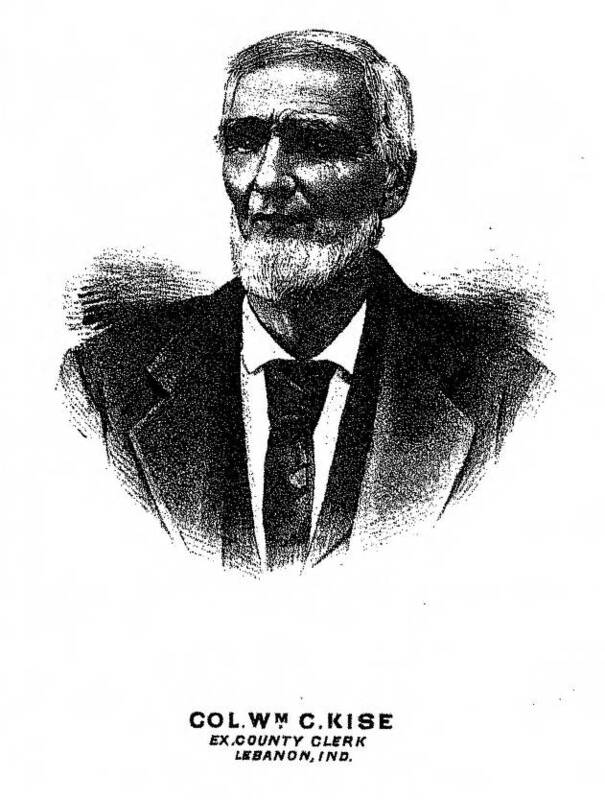 Source: "The History of Boone County, Indiana, Volume II,"
Crist, Hon L. M., 1914. 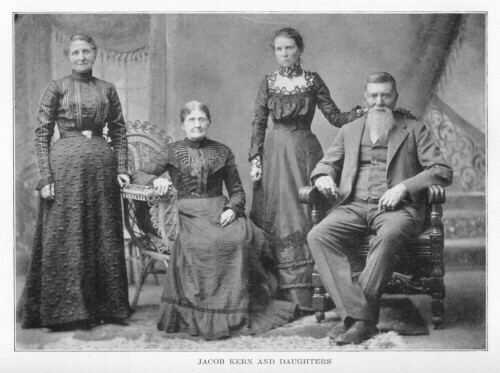 "This is the Kinnaman family from Boone County. 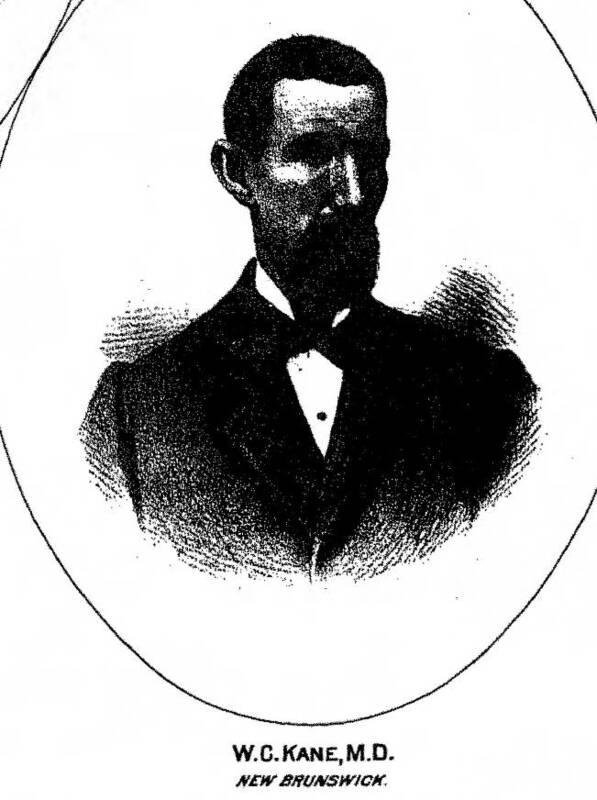 They were relations to the Bohannon's, so there are likely some of them mixed in as well. 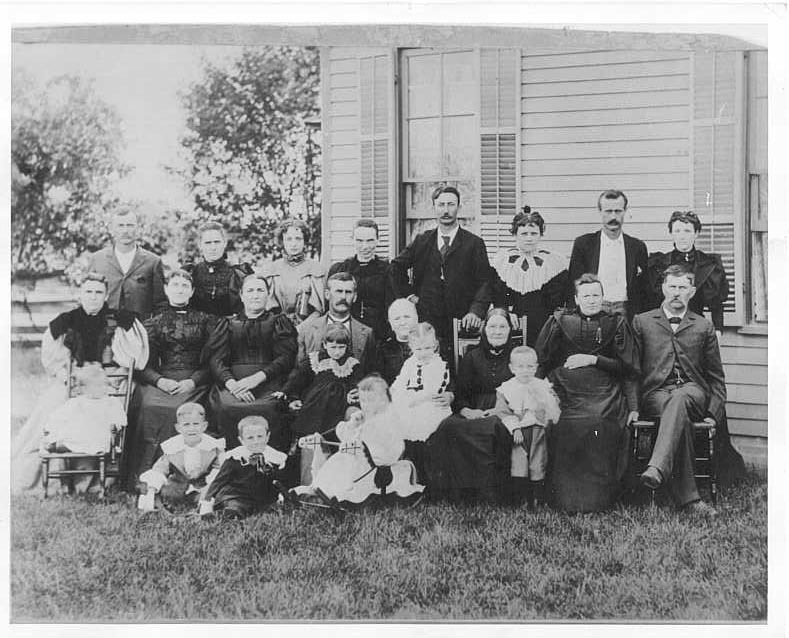 I've had a hard time tracking this family down, so I cannot positively identify any of them except to say it is written "Kinnaman's" on the back of both. You might add a comment with these for anyone who knows about this family, please reply." 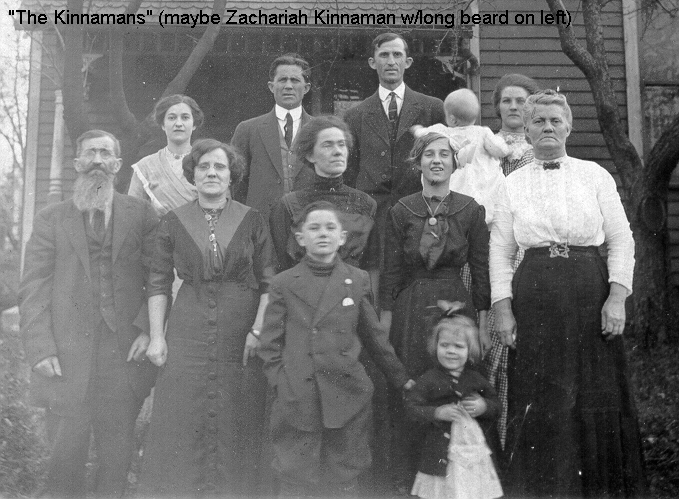 (Man on far left with beard): Might be Zachariah Kinnaman. 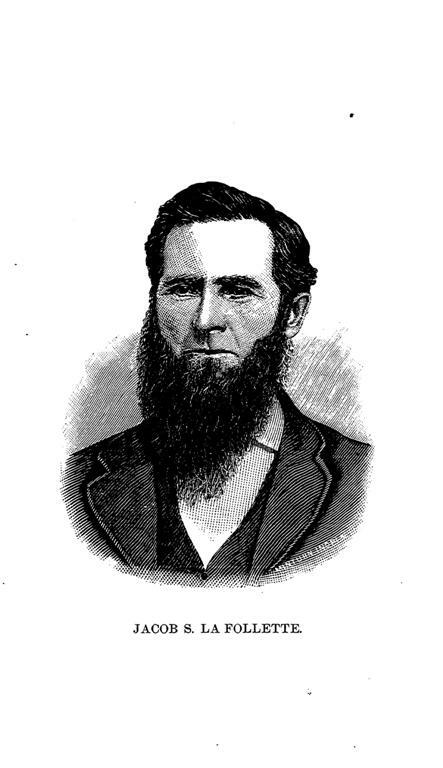 Source: "Early Life and Times in Boone County, Indiana," Harden & Spahr, Lebanon, Ind., May, 1887. 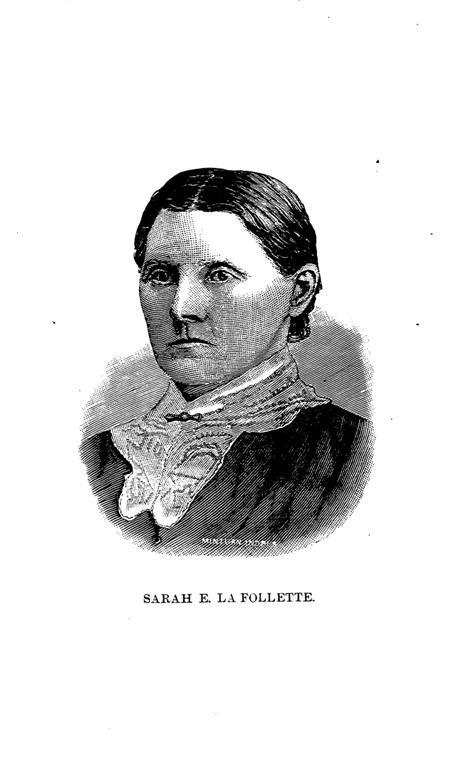 Wife of Jacob S. LaFollette.